The detention inquiry panel published its report. You can find the report here. There has been an extensive media coverage of the report. The inquiry is jointly led by the All Party Parliamentary Groups on Refugees and Migration, and marks the first dedicated Parliamentary inquiry into the impact and implications of the use of immigration detention. The deadline for submissions is 1st October 2014. More information about the inquiry is available at http://www.detentioninquiry.com. The first oral evidence session took place on 17th July 2014. You can read the transcript here. The Detention Forum’s article about the inquiry appeared in openDemocracy on 7th July 2014. Other pieces published about the inquiry are as below. 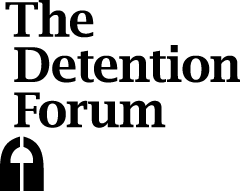 The Detention Forum welcomes this inquiry and encourages people who are in detention and who have experienced detention or supported them to take part in the inquiry.